The message is loud and clear – Australian Facebook users are kind of over it but feel stuck with it, says Laura Demasi. “Facebook is driving me nuts,” a 21-year-old Sydney student participant complains in one of our recent studies. ”So much to keep up with. But you have to be on it,” she says with a sigh. That, in a nutshell, describes Facebook 2.0; a new phase in the evolution of the social media behemoth that has radically reshaped how 1 billion of us communicate. After years of enthusiastically voracious usage, Australians are starting to question the role of Facebook in their lives. A quantitative survey we conducted of 753 Australian Facebook users (selected to represent the general population) tells the story even more succinctly. Thirty-one percent of Australian Facebook users feel that they spend too much time on the site. This number doubled to 61 percent among those aged between 18 and 29. Anyone with a Facebook account could relate to these figures (c’mon, we’ve all watched the hours spent on Facebook slip by with a pang of guilt at ignoring the kids/washing/work/study/sleep) but what surprised even us was that this feeling of burden was driving users to consider opting out altogether. Forty-three percent of users have thought about closing their accounts, with slightly more – 47 percent – of those aged between 18 and 29 admitting to considering disliking Facebook for good. The message is loud and clear – Australian Facebook users are kind of over it. To be clear, the numbers on Facebook usage are not dropping. Nielsen measures Facebook usage in Australia and shows that the amount of time we spend on Facebook remains steady. We’re still spending loads of time on Facebook day-in day-out (which could be attributed to the rapid rise in smartphone penetration alone – what else are people doing while gazing into their phones on the bus and train?). But consumption tells only part of the story. The statistics on Facebook usage tell us about, well, only time spent on Facebook. They don’t tell us how people feel about this new force in their lives. Usage matters today, absolutely, but how people feel about their usage gives us an indication of how they are likely to behave tomorrow and in future. Will people abandon Facebook in droves? Not likely. This is probably not the beginning of the end of Facebook. Not by a long shot. But what it is, is confirmation of a new phase in the role Facebook plays in people’s lives. It may cease to be the all-consuming must-have social equivalent to oxygen it is now. Users will likely keep their accounts open to stay in the loop, but they may spend less time on Facebook in the future. Facebook 2.0 then, can be roughly translated to Phonebook 2.0 – Facebook, the new White Pages/calendar of the digital age. Which means that our attention is there for the taking by other platforms. As another young uni student put it in one of our research groups last week. ”I’m so addicted to Instagram!” she proclaimed to four of her high school buddies sitting around her kitchen table. ”I don’t check Facebook that much any more but I’m always on Instagram. Love it!” Three of the others quickly nodded in agreement. 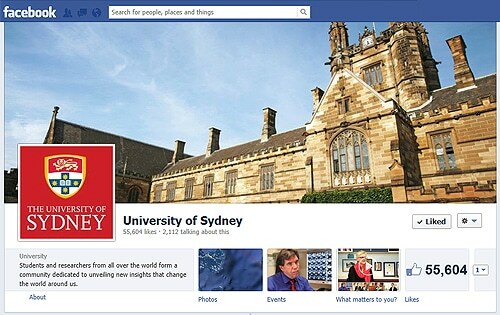 Laura Demasi is writing a postgraduate thesis on the social impact of digital media at the University of Sydney.